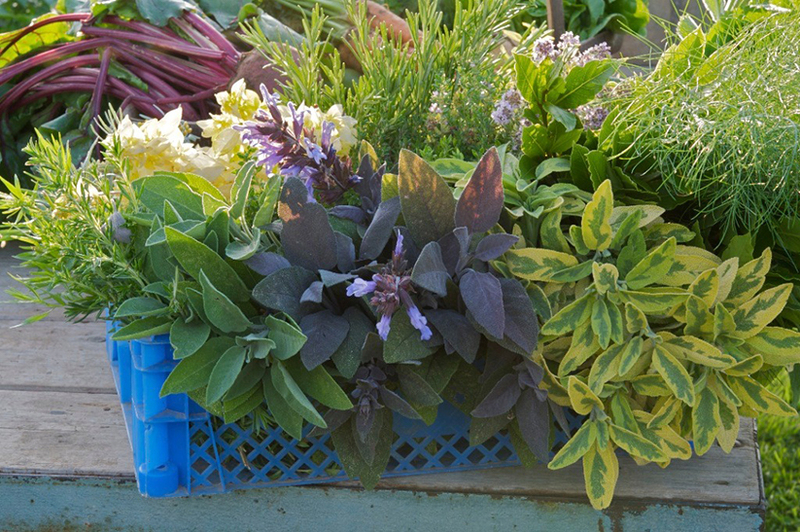 As well as being beautiful to look at, a good garden can provide delicious herbs, vegetables, fruit and flowers for the house. 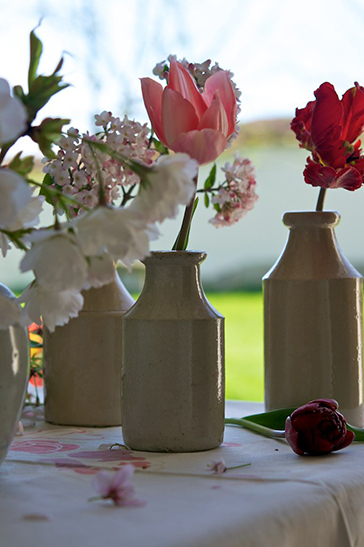 Dale & Heybrook Garden Designers like to include this extra dimension whenever possible. A few herbs can be cultivated in even the tiniest garden, whether it’s a pot of fragrant lemon verbena for refreshing herbal teas or a handy thyme plant on a windowsill. 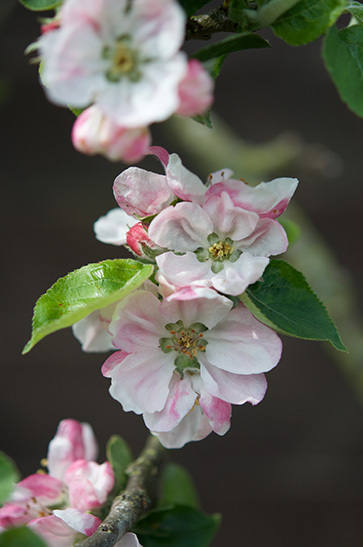 There are so many tantalising varieties of fruit tree, even grown in pots or trained up a wall, there is one for every garden and many have lovely blossom too. 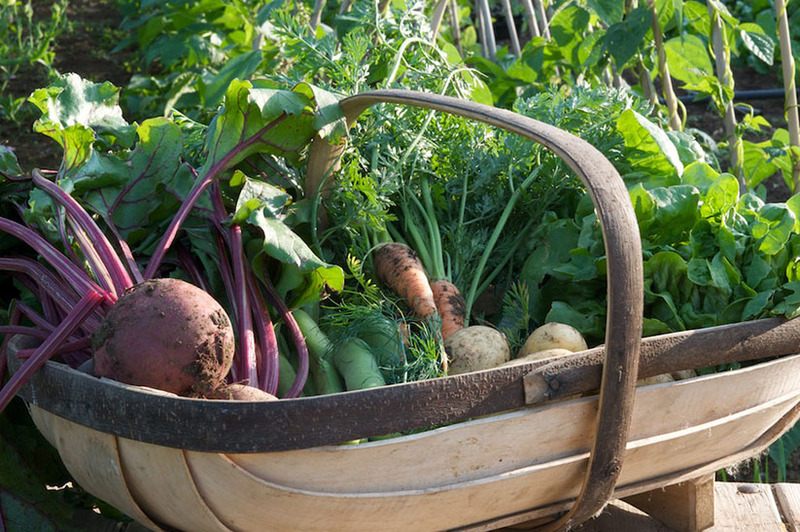 Designated vegetable and fruit gardens or potagers are a popular garden element. Well-designed, they can be highly ornamental in their own right and, where space permits, an orchard is a wonderful asset. Along with our favourites, we like to use rarer and older varieties of apple, pear, plum, quince, damson and gage, many of which are not easily found in shops. In a large area, plants on standard rootstocks are selected to grow into big trees that one can walk or sit underneath. 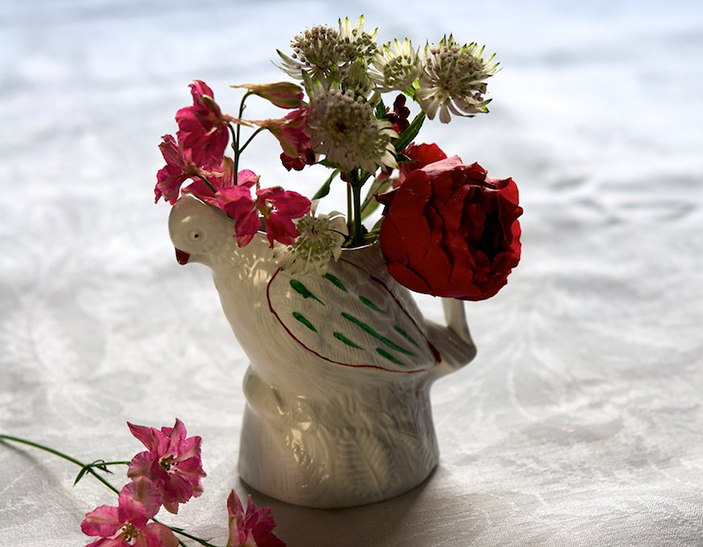 Home grown flowers have far more charm than most in the shops. 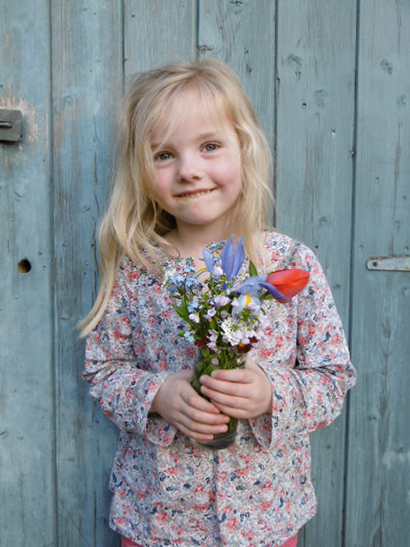 In a larger garden, a cutting garden is a lovely option but, even in smaller gardens, shrubs, bulbs and perennials can be selected that will supply the house with seasonal fresh flowers right through the year. 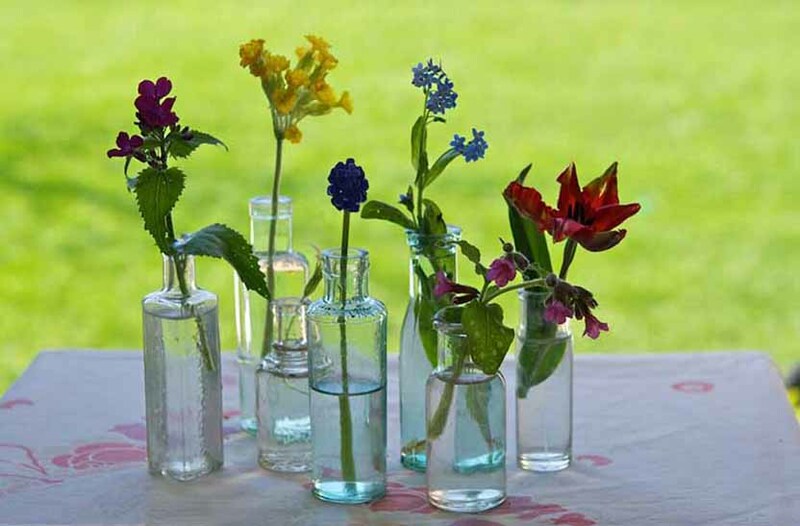 In many of our gardens, it is possible to pick a flower every day of the year. 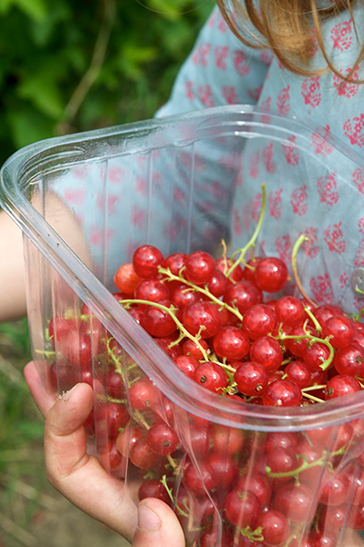 Redcurrants are a rewarding crop. They look pretty and one bush can produce plenty of fruit. 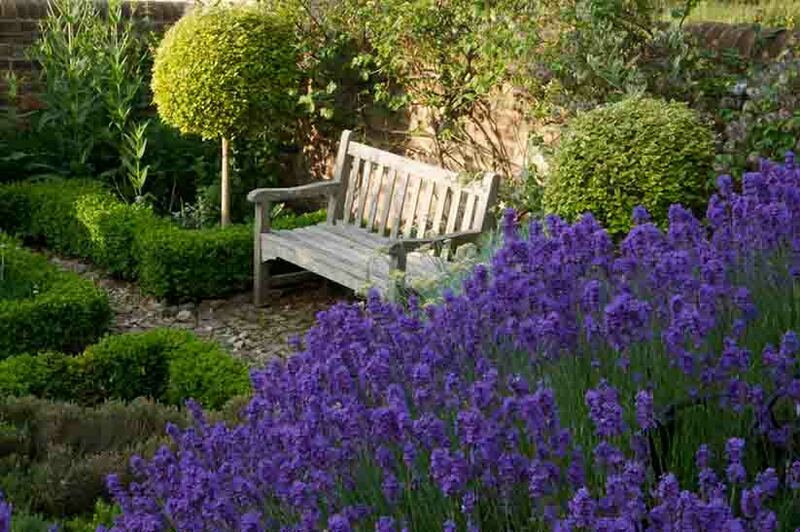 A formal herb garden with cobblestone paths and borders edged in dwarf box is a tranquil and fragrant place to sit. 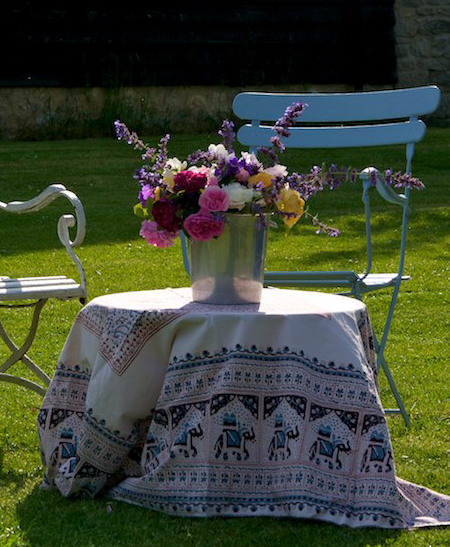 Sited near the house, it is convenient for forays from the kitchen or just for enjoying a cup of tea. Fruit trees can be incorporated into the smallest of gardens by using the right varieties and rootstocks. Many fruiting trees are worth growing for their blossom alone. 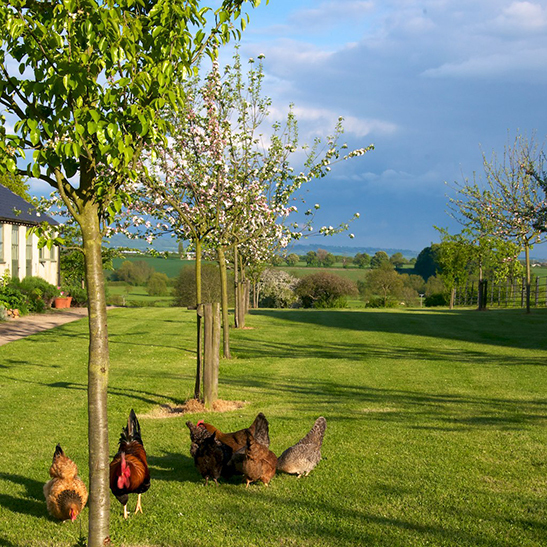 Where lifestyle permits, chickens can make a gorgeous addition to a garden. 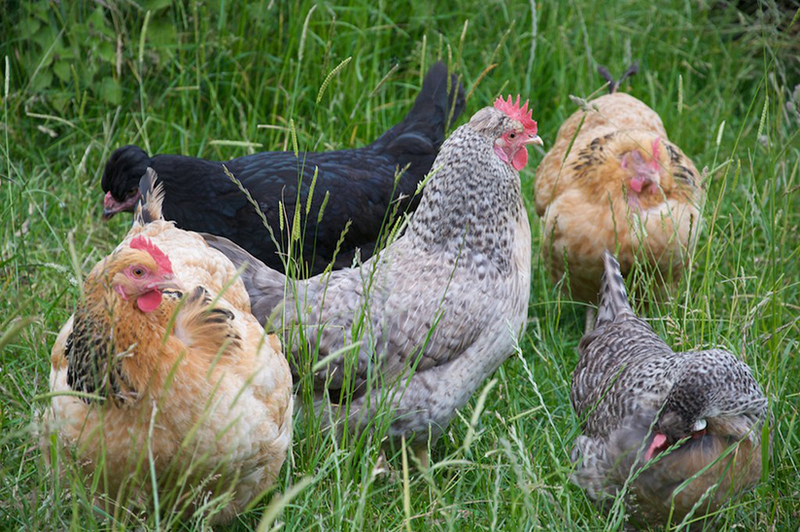 These decorative hens lay speckled brown, khaki and blue eggs. 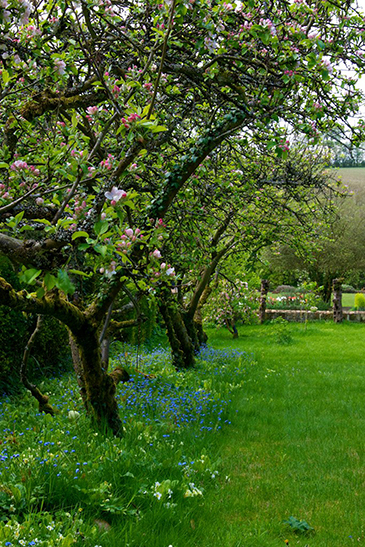 Where space permits, an orchard is a wonderful asset in a garden. For this orchard, we chose delicious varieties of apple, pear, plum, quince, damson and gage, many of which are not easily found in shops. Plants on standard rootstocks were selected, these will grow into big trees that one can walk or sit underneath. 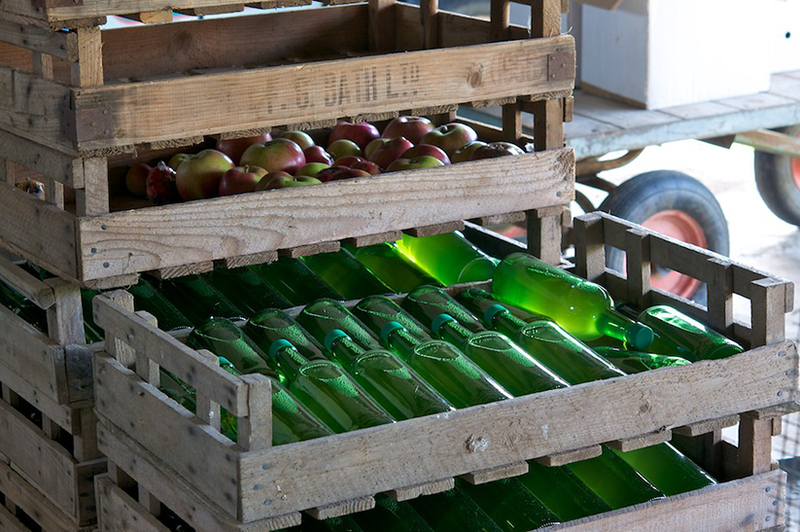 Home-grown apples and pears stored in wooden crates. 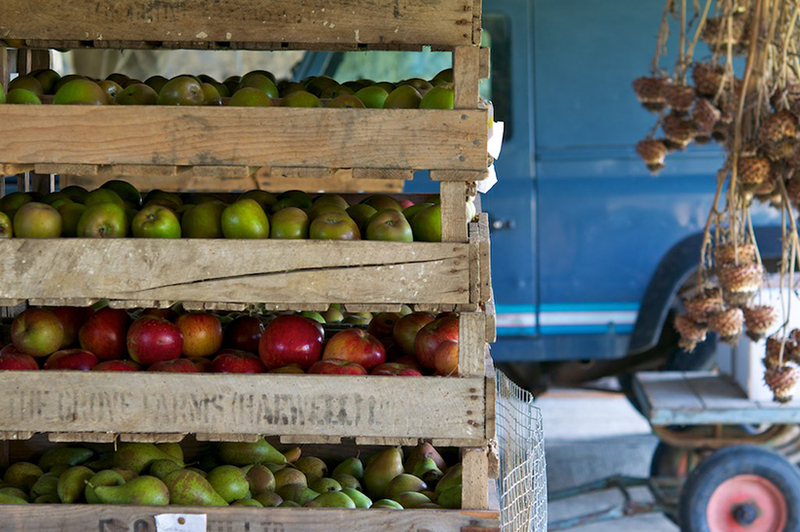 For some of our clients, we take their apple and pears to be pressed and pasteurised by a local farmer so they can enjoy their home-grown fruit juice all year.